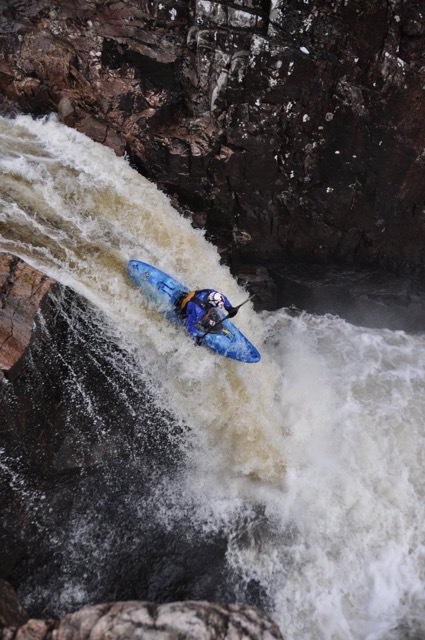 In 2010 Glenmore Lodge installed a Big Hanna. Six years later we revisit to take a look at how Big Hanna is doing and what the staff think about composting. Has everything worked out, and is composting really as easy as we claimed it would be? Glenmore Lodge is situated in Cairngorms National Park in the Scottish Highlands, 40 miles (app 65 km) southeast of Inverness. 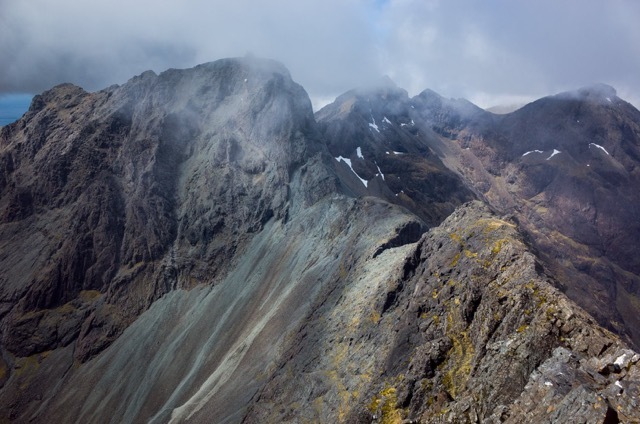 It is Scotland’s National Outdoor Training Centre and offers a wide range of outdoor training and qualifying courses for both individuals and professional instructors. 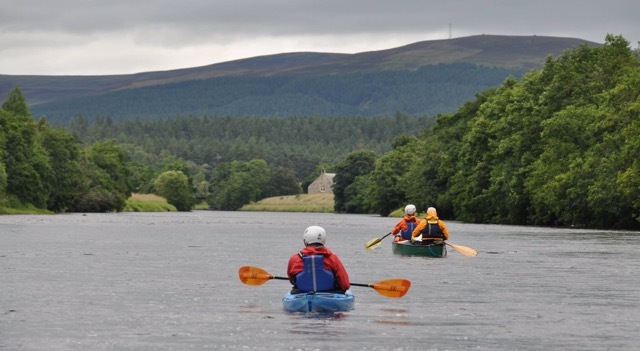 At Glenmore Lodge visitors can take part in a whole range of different outdoor disciplines such as mountaineering, mountain biking, skiing, kayaking and canoeing with experienced instructors. During its 60 year long operation it’s won an international reputation both for the inspiring outdoor activities but also for its magnificent surroundings. 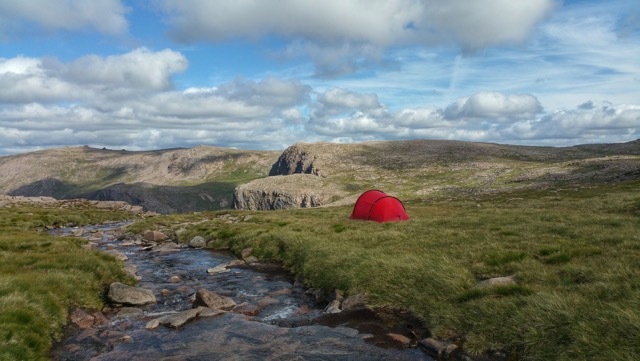 The Cairngorms National Park enjoys more than 55 mountains over 3000 ft (900 m) and a large number of rivers and lochs. Glenmore Lodge is located in the midst of it all with an immediate access to the outdoors. 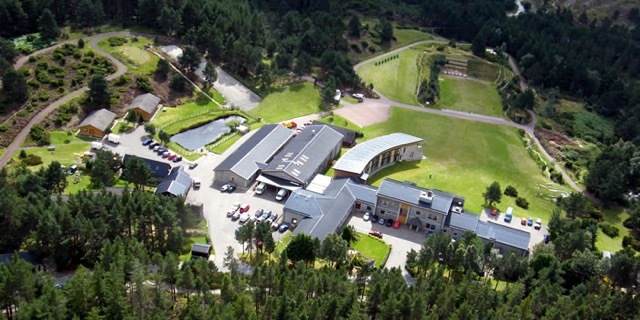 As well as courses Glenmore Lodge also offers accommodation, meeting rooms, climbing wall, gym and has a bar which is open to the public serving bar meals seven days a week, 50 weeks of the year. Each year they welcome over 45000 visitors and the business generates its fair share of waste. It’s not too far fetched to believe that the beautiful location in this wilderness inspired the change in waste management. The actual process began in December 2008 when Bob Kinnaird was appointed as new Principal. He made it clear that he had a vision where Glenmore Lodge would become waste neutral. One of the first steps towards this goal was without question to look at how to deal with the food waste. 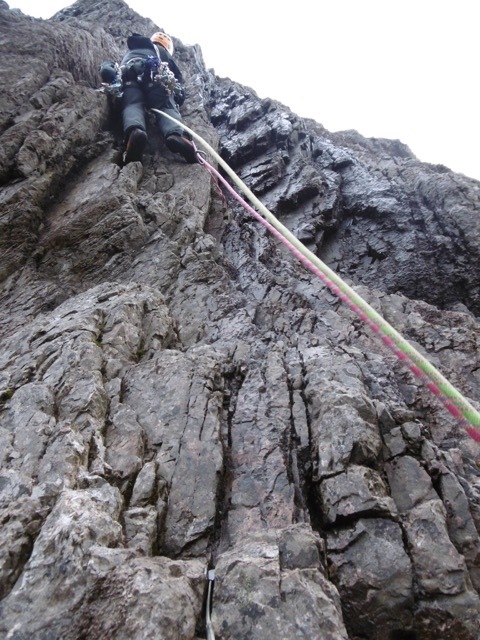 Kirsty Murfitt, Environmental Coordinator at Glenmore Lodge took on the task of investigating different solutions. She began with carrying out a two week long waste audit where all food waste from the kitchen and dining room was measured. In the beginning the staff were very sceptical at being asked to weigh all the waste, but much of that changed during the audit. “It became visible to all of us that we threw away a lot of food”, says Kirsty Murfitt. “Each day generated around 30 kilos of waste because we prepared too much food, guests not eating all they took and from food going off. This created an eagerness to change our habits and a willingness to recycle the actual waste”. The next step was to investigate different composters and how they worked. A process lasting more than year resulted in the decision to buy a Big Hanna T120. 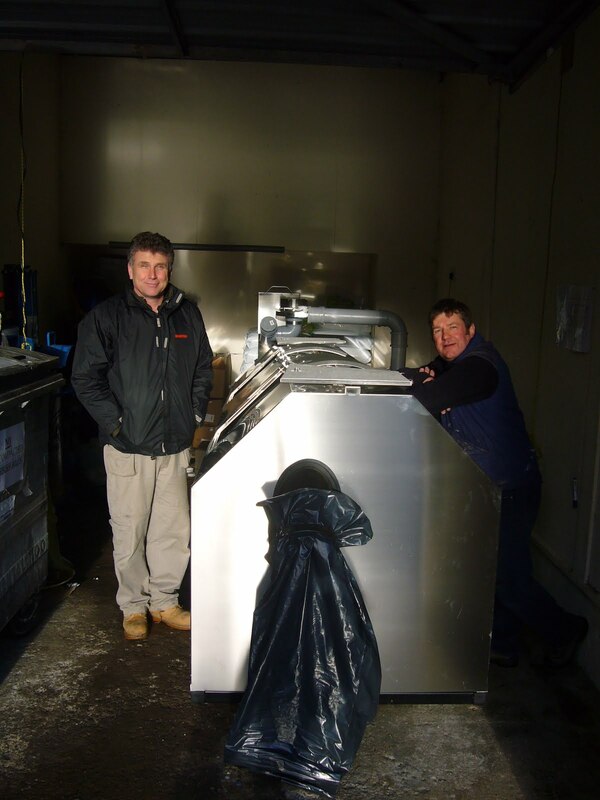 Up until now Glenmore Lodge had used six 1200 liter bins for all its waste which were collected and taken to landfill. In the highlands it is a struggle to recycle many types of waste that other parts of the UK can. Most waste unfortunately finds its way to landfill so a change towards a more sustainable waste management system was very appealing explains Kirsty Murfitt. However, she was a bit worried if the staff would buy into the idea. In November 2010 Big Hanna arrived, because of bad weather and too much snow the machine was started up in January. A small group of people started using the machine and the waste was separated in the kitchen. It was an issue to keep down the size of food going in in the beginning, Kirsty recalls with a laugh. “If you throw in a whole cabbage or bread roll it won’t go down in size or compost… It was also important to keep temperature and moisture at the right level, but we got clear advice and began slow with little material and plenty of sawdust. We also got really good feedback from the display. It was all quite simple actually, as soon as we got it up to the right temperature it just worked”. Since then Big Hanna has worked really well. Apart from a broken wheel bracket that they fixed themselves the machine has run steadily with a minimum of management other than an occasional fuse. Nowadays no food waste goes to landfill, it all goes into Hanna. Earlier on regulations made it impossible to compost meat. That changed, and since the kitchen installed a macerator dewatering device that cuts all meat into small pieces, all food waste is composted. “Now that we can put everything into Big Hanna maintenance is much easier” says Kirsty. “It´s cleaner too, and just think of the number of bins we no longer need to get emptied. Big Hanna has enabled us to comply with legislation brought in to deal with the separation and disposal of food waste”. Looking back this process has been a successful change towards sustainability. During the first waste audit in November 2009 the waste averaged at 221KG, where 147KG was non meat waste. Six months later many old habits were changed and the waste reduced to 184KG, with 110KG non meat waste. Through conscious work the amount of waste have reduced continuously and the dewatering process reduced the weight even more. Today Glenmore Lodge puts approximately 55 kg of dewatered waste into Hanna each week; the material is reduced by 85-90 % which results in around 30 kilos of compost per month. “The compost that comes out now is lovely and fine and we can use all of it. That’s a benefit to us since it’s still considered as waste and can´t leave our grounds. We spread it on our lawns or flowerbeds. I can´t say that I´ve seen any great changes in the flourishing, but nothing grows very well up here in the highlands”. Composting has been a valuable experience in many ways she concludes, maybe not in making a financial profit but it is certainly beneficial for the environment. And nowadays Glenmore Lodge aim to recycle as much as possible; even old furniture, mattresses and other useful things that can be recycled by other people. So far composting is in its early stage with just a few other machines in Scotland. Over the years Glenmore Lodge has had a lot of visitors who have wanted to learn from their experience, and Kirsty welcomes them all. “Seeing Big Hanna and talking to us who use her will make a big difference for the visitor. I think many people believe it takes a lot of time and technical knowhow to use the machine and therefore don’t want to investigate composting further, but visiting Big Hanna will change that picture”.